A few days after he uttered those words, he confirmed that he would not be traveling to Sri Lanka for the 2013 Commonwealth Heads of Government Meeting (CHOGM), sending External Affairs Minister Salman Khurshid instead. The decision not to attend puts narrow domestic interests ahead of a realistic pursuit of India’s national interest – demonstrating a clear lack of interest in “[investments] in connectivity” with neighbors, if you will. 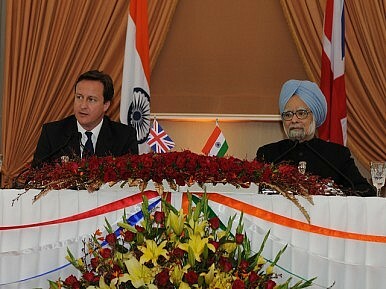 Singh’s decision was precipitated by weeks of pressure from local political parties in Tamil Nadu who argued that were India’s prime minister to even attend the CHOGM summit, Sri Lanka’s atrocities against Tamil civilians during its years-long civil war would be entirely glossed over and forgotten. The prime minister’s decision to send Khurshid is still seen as unacceptable by some, such as Tamil Nadu Chief Minister J Jayalalithaa who said that there should be no "titular, ministerial or official” Indian participation in CHOGM. To be sure, India wasn’t the only state to face a controversial domestic debate in light of the CHOGM meeting taking place in Colombo. Canadian Prime Minister Stephen Harper issued a statement ahead of his decision to not go, protesting the situation in Sri Lanka, and the "absence of accountability for the serious violations of human rights and international humanitarian standards during and after the civil war.” The UK’s David Cameron chose to attend, but vowed to send a clear message over alleged war crimes – he rejected calls to boycott the meeting entirely. Singh’s decision not to go was communicated to Sri Lankan President Mahinda Rajapaksa in a letter which, according to The Hindu, did not state his reasons for being unable to attend. Singh merely communicated his “inability to attend.” At least framing the refusal to attend in terms of displeasure over Sri Lanka’s human rights record would have accomplished something – if Singh caved to local politicians on CHOGM, he might as well have stated so. Instead, not only did local politics play a misguided role in derailing India’s national interest in maintaining influence in Sri Lanka, but they made Singh and the Congress party appear aloof to regional politics. Singh had yet another option that he chose not to exercise. He could have had his cake and eaten it too had he included a visit to Jaffna as part of his trip to Sri Lanka for CHOGM. The Jaffna option could have placated domestic Tamil constituencies by reinforcing India’s commitment to Sri Lanka’s Tamil population in Jaffna. The Hindu, in an editorial expressing its dismay at the decision, argued that "A decision by Dr. Singh to go to CHOGM and include a visit to Jaffna would have been a powerful reaffirmation of New Delhi's stakes and interests in the region." The CHOGM 2013 episode will be remembered as a political fumble in India’s regional relations. Singh’s decision will broaden the divide between Colombo and New Delhi, and make any strategic convergence between India and its southern neighbor remote. An overlooked aspect of the entire controversy is that Rajapaksa’s government is likely here to stay in Sri Lanka for a long while to come – India had everything to gain from engaging with him to demonstrate its seriousness about its interests in Sri Lanka. In the meantime, China continues to make inroads with Sri Lanka – happy to conduct business as usual, human rights abuses aside. Western pressure on Sri Lankan President Mahinda Rajapaksa over the defeat of the Tamil Tigers risks creating another Burma.